The gutter covers we provide have come out of years of research, and our installations, for perfecting the balance of water-handling capacity with leaf protection. 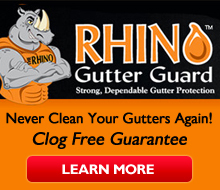 Why spend the time and risk cleaning your own gutters? Cleaning your gutters can be costly not only financially but the risk of falling off the roof is a severe and daunting issue. You might have insurance, but that does not stop the pain from a fall! Avoid all the hassle of gutter cleaning and get a system that works, is long-lasting and will protect your gutters from debris for years to come. When choosing gutter covers, look for ones that truly keep leaves, dirt, small debris out of your gutter while still allowing water to get into the gutter system. Remember if a dollar bill can go into the system, so can leaves. We refer to that, as an open throat system. Just because you see big name companies selling them does not make them better. In fact the strange issue with this is that most do not work. Why would a company sell something that does not work? Because they bought the rights to the product and no one else can sell it , making it more valuable, and also, more profitable. They also hire hot shot marketing companies, that put together fantastic sales programs, that make you thing what you are buying is the best, before you come out from under the ether. You now own it, and it is hard, to take back. plus a lot of these companies are not as honorable as they would like you to think. Sometimes it is just easier to keep it than fight and they know that from past experience. Choosing your gutters involves balancing convenience, aesthetics and long life. Gutters can be made out of a variety of different materials. Each material has different properties and also different costs. Copper are elegant and durable. This is a popular choice for both classic and modern architecture. The distinct look and value of copper gutters makes this the preferred choice for beautiful homes. The newly installed bright copper will acquire the characteristic green color over time. Well-maintained copper gutters can last the life of the house. K-style seamless copper or 1/2 round are the most popular copper choices. Job specifics such as height, accessibility, inside/outside corners, bay miters determine pricing. Imitation Faux Copper. or imitation Copper is esteemed for its natural color. If you like the look of copper, but not the price, we sell a imitation, faux-copper gutter, made of durable aluminum. It is called “Darkened Bronze” and is designed to simulate aged copper. As for the price, it sells for less than half the cost of 16 oz. copper. Conventional Aluminum. Aluminum gutters are the most common. They are cost-effective and typically last more than 50 years. They come with a factory triple coated baked-on paint that is extremely durable. Seamless aluminum gutters can be custom manufactured to fit specific homes and are available in a variety of sizes and designs. However, lighter-gauge aluminum gutters are susceptible to dents, such as those inflicted by a ladder. In general, the higher the gauge, or thickness, of the aluminum used to make the gutter, the longer the gutter will last. When buying any aluminum gutters, choose the thickest, which is all that we will install, because we do not have to back for warranty work, – optimally027-, or .032 in. 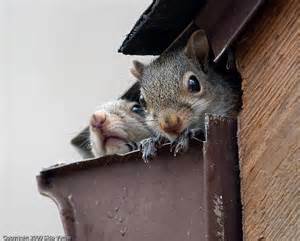 Though ..025- and .019-in.-thick gutters are available, they won’t hold up as well. 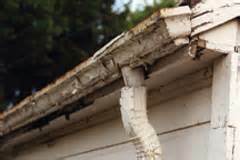 They collapse, under any external weight ,such as a ladder leaning against them, denting or bending your shiny new gutters! When buying aluminum gutters, insist on primary aluminum that comes by the coil. This is thickest and most consistent kind. Avoid secondary aluminum, a recycled product that often comes in pre-fabricated sections and can be plagued by inconsistent thickness. Aluminum gutters, however, never rust. Prices start at around $4 to $7.75 per linear foot installed. Job specifics determine exact pricing (color choice, custom miters, inside/outside corners, height of install, etc.). Three reasons why seamless aluminum gutters have the edge in popularity over online or local store-bought gutters. First of all the only way to buy gutters online or at the local store is to buy sections and seam them together, and almost always leak at the seams, because of expansion and contraction. Seamless gutters offer superior performance because they minimize chance for leaks and they also eliminate the need to make joints every 10 or 20 feet. Second, they are cost effective. Seamless aluminum gutters and downspouts are inexpensive when you compare them with buying the materials on your own. The reason why is because if you go online and price out an order for materials don’t forget to factor in shipping costs. Downspouts are 10’ long and large boxes. The maximum gutter length that can be shipped is 20’. Both downspouts and gutters over 10’ can only be shipped by freight and this adds hundreds of dollars to the total cost. We make our gutters on site using coils that are run through our machine. The machine forms the flat coil into the shape of a gutter and can be made to any custom length, at the job site. The third reason why seamless gutters are superior to local store bought or online purchases is because they are superior on quality. We use heavy gauge aluminum coil with a factory baked-on finish. This is very different than what you find at the local store. Stores tend to carry cheaper lighter gauge materials with a powder finish that easily scratches or dents. Coated Galvanized. Galvanized gutters are steel gutters, coated with a layer of zinc. Steel Gutters after 11 years . . . Really Need a lot of Maintenance! Combination Galvalume gutters are a mixed, combination of steel, and aluminum. Galvalume gutters have the strength of steel but advantages of aluminum. Galvalume gutters do not rust as quickly as traditional galvanized gutters and have become a common replacement for traditional galvanized gutters. The aluminum content in the galvalume acts as a rust-inhibiting agent and rust development usually will not occur for 10 years depending on climate. With prices ranging slightly more than galvanized, galvalume has become the next generation of galvanized. Vinyl gutters (Warning!) Stay away from store-bought vinyl gutters. Squirrels love to make nests in these. It has something to do with the polymers that they like. Also, PVC is a great insulator, so they probably stay a little warmer, in the winter. Hey Honey I’m Home ! Although many homeowners can install these themselves in a weekend or less, vinyl gutters and downspouts become brittle with age and especially in cold weather. 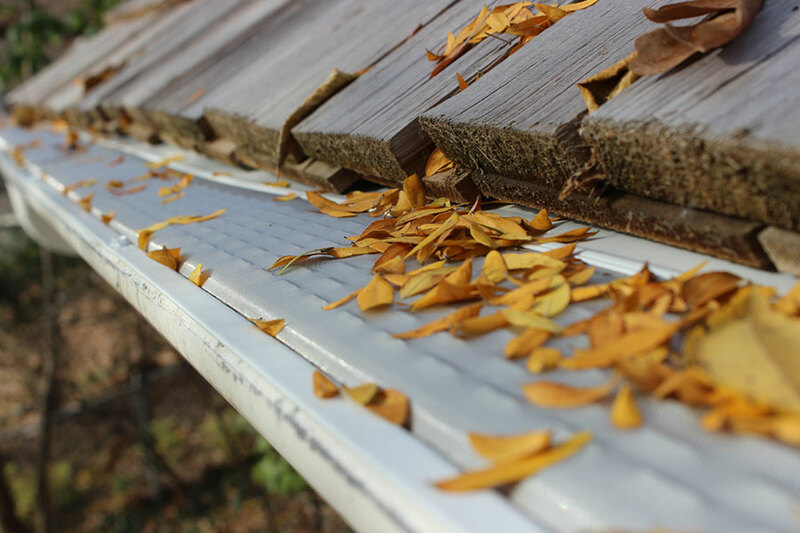 If you live in the Northeast, whether it be New York, Connecticut, Massachusetts, Vermont, New Hampshire or Maine; it is advisable to stay away from using vinyl gutters. While you can buy gutter sections cost just $3 to $5 per 10-ft. length, they still wind up at about $3 and $5 per linear foot installed when you factor in the cost of couplings, hangers and downspouts. After weathering the winter months all of your hard work might come to a crashing fall. A 10’ run of ice and snow on a gutter can weigh over 200 lbs. Since vinyl gutters become brittle in cold temperatures they have difficulty standing up to the demands of winter. Remember . . .You Need Real Gutter Buying Advise from a Pro! No Replies to "Gutter Buying Advise and Perfecting the Balance of water-handling capacity with leaf protection!"